Of the twentieth-century art gods (Pablo Picasso, Henri Matisse, Marcel Duchamp, Jackson Pollock, and Andy Warhol), Marcel Duchamp elicits no middle road. He is either revered as a godlike figure of contemporary art or disdained as a charlatan. Curators, artists, critics, and dealers praise his import in reframing and redefining what is art and how we view it. In fact, the other night at a dinner party seated amongst a crowd of the aforementioned art-world folk, I asked, “Are we done with Duchamp?” Knives and forks dropped from their fingers as their eyes shot daggers at me. The rebuttal that followed began, “ We can never be done with Duchamp!” and “If you know anything about contemporary art, how can you propose such a question?” Indeed, I swear, on a stack of Artforums, I am no art historian or art scholar, nor a curator, critic, or dealer. I am simply and purely an art appreciator. And, I realize by proposing that I see an overuse of art proclaiming a Duchampian lineage or ideal that I am certain to provoke strong opinions from people smarter than I. What has this idealism that Duchamp strived towards done for art? The ideal form, the ideal material, the ideal expression, the ideal truth; these things continue to be sought, but alas, they have all been found! They have all been found in everyday materials (which seems to be the popular medium used in contemporary art), such as trash, used clothing, packaging supplies, broken furniture, and other multitudes of mundane objects thrown together is cast out in the galleries as “Duchampian.” Marcel Duchamp influenced contemporary artists perhaps more than any other master from the twentieth century. He paved the way for pop art, environmental art, assemblage, installation art and conceptual art. Even so, Duchamp is overdone in contemporary art. Art historian and critic Barbara Rose, in her well-written article for The Brooklyn Rail reviewing the recent exhibition of Duchamp’s paintings at Centre Pompidou, commented in her post script: “What Duchamp himself had done was always interesting and provocative. What was done in his name, on the other hand, was responsible for some of the silliest, most inane, most vulgar non-art still being produced by ignorant and lazy artists whose thinking stops with the idea of putting a found object in a museum.” Bravo! I completely agree. 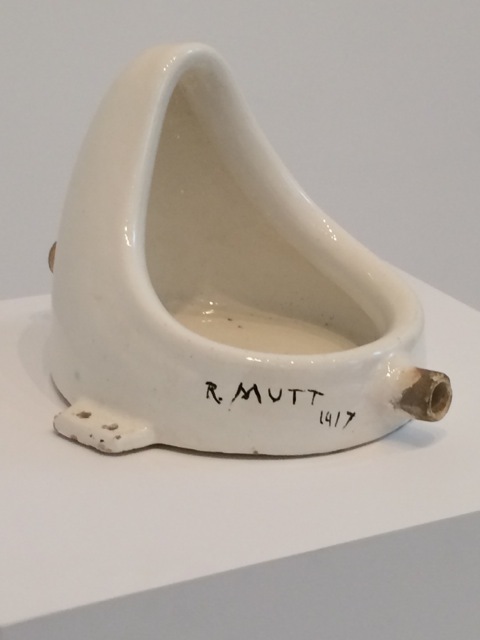 This is what I am asserting when I ask, “Are we done with Duchamp?” The products that call themselves works of art copying ideas and images put forth previously are far too numerous, too sporadic, and have been done again and again. Duchamp, by contrast, was compelled or obsessed to not fall into complacency or predictability; he challenged himself to not repeat and reuse the same thing. He disliked reproduction and secondhand experience. From his failures, rebellion, or both, Duchamp emerged successful. He failed at art school, in printmaking, and with painting. Yet, he was not deterred. He could have changed course, pursuing a life as a chess-playing librarian, but he didn’t. He continued to question, “What is art?” and “How do we see art?” In both life and art, he looked beyond what had already been done, rejected conventional conformity, and avoided an affiliation with any group—thus, not claiming to be a cubist, dadaist, modernist, surrealist, of futurist, yet associating with all. He felt it unnecessary to encumber his life with attachments and stated that he chose to live with or without “too much weight, with a wife [although, he was twice married], children, a country house, an automobile.” He was a champion of independent thinking. An evasive, private, elusive man, and often known as a poker-faced trickster, he was a controversial figure with contradictions. 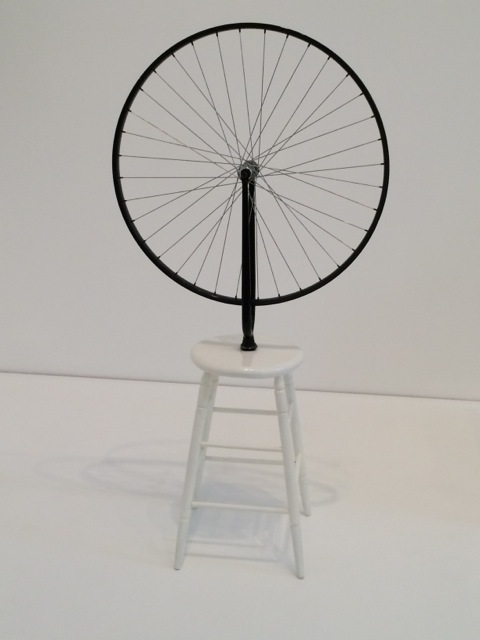 Conceptualism began with Duchamp’s wheel-and-stool sculpture—the first of his thirteen “Readymades” [his term] completed in his lifetime. This revolutionary art form changed everything. 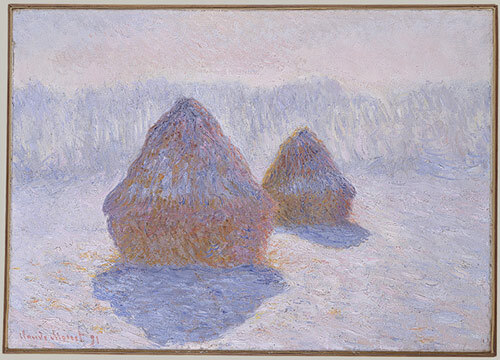 Before this, in the 1600s, exquisite Dutch and Flemish still-life paintings glorified everyday objects, and works like Monet’s Haystacks honor forms found in everyday life. Yet, Duchamp turned over the table; he used the everyday as the material for his ideas rather than the subject of his art. By this bold articulation, he changed what he called ‘retinal’ art and proposed an intellectual art, what today we call conceptual art. He changed how we see art and what we call art. The Duchamp “ideal’ has found the source of art in the mind. Duchamp was interested in the mechanical and the machinery of the industrial age-artists must find their own material to bring forth and start their own machines, instead of relying on utterances which have many times been uttered. And, thoughts abound of every imaginable sort: sociological thoughts, political thoughts, economic thoughts, philosophical thoughts, thoughts on religion, race, and morality. We seek a new language in art. Form, materials, and ideas continue as elements to define and question the nature of art. Warhol chose Campbell’s Soup cans and Brillo boxes, Bochner makes measurements, Flavin uses neon, Weiner and Holzer create works of art from words. And, On Kawara chose dates. Which brings us to the other artist discussed at the dinner table from the other night. Following my bold assertion in regard to Duchampian art overdone like the current kale craze, I stated that On Kawara’s art is the crown of conceptualism, sitting upon a heightened throne, so much so that his art is void of aesthetic appeal. I was stepping outside of popular sentiments with my opinions. Actually, I believe On Kawara a champion of Duchampian ideals. 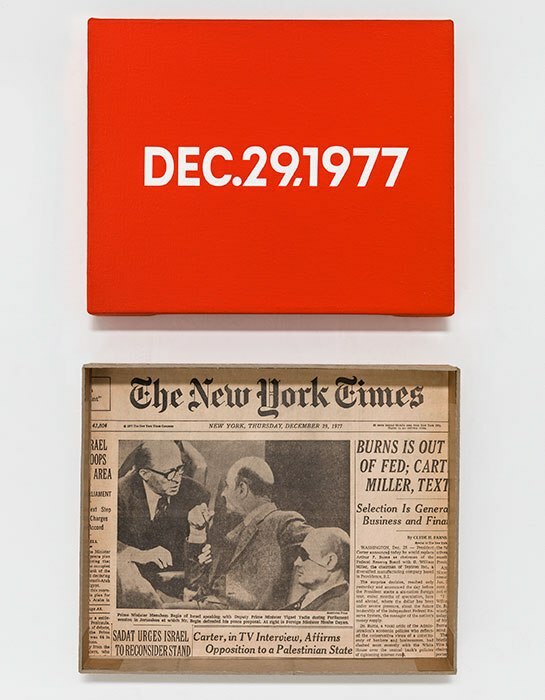 Duchamp an “antipainter,” On Kawara chose paint as his medium—that, and his day-to-day existence. Both artists steered clear of the intrigues of the art world and remained on the periphery of the art market. 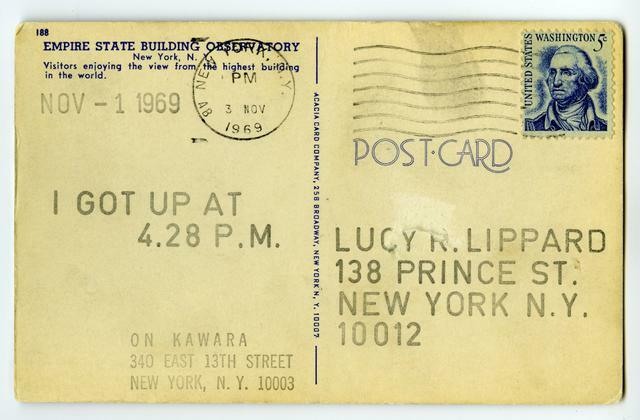 Unlike Duchamp who was easily recognizable (and his private life was subject of gossip), little is known about On Kawara’s personal life, and even his work is absent of personal mark-making, using a an ink stamp and telegraphic text rather than pen or pencil to scribe to his correspondents. Life and time were elements in their art. 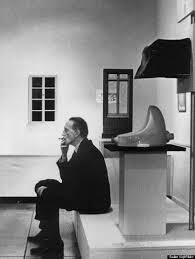 Duchamp would work and deliberate on one piece for nearly ten years. On Kawara would start and complete each piece within a day, ritualistic, Zen-like, a meditative moment beginning with a brushstroke, and once begun, fluid in movement to the end, marking time. 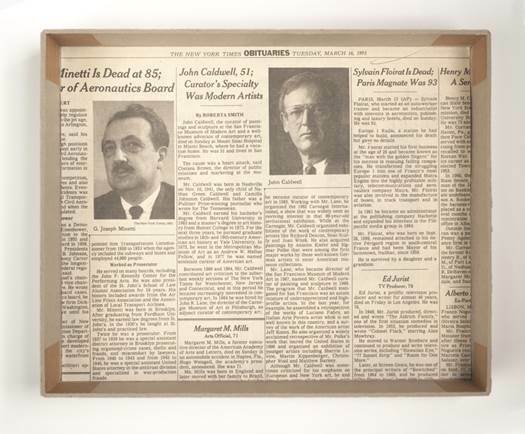 With a long period of gestation for his art objects, Duchamp produced far less than On Kawara’s 3000 date paintings. Both were dedicated to thought-out, deliberate, and handmade precision. Duchamp held an excessive, obsessive fixation on the act of seeing and On Kawara held an obsessive fixation on the act of recording. Bicycle Wheel (1913)-and Fountain (1917), the infamous urinal-both immediately resonate as Marcel Duchamp, and DEC.29, 1977, meticulously painted in white on red, is instantly recognizable as uniquely one of On Kawara’s Today series paintings. Both artists dared to work outside popular art parameters and became known for their singularity. Both artists are a combination of all of Yoshio Markino’s classifications of modern painters: the humbug, the degenerate, the lunatic, the eccentric, and the genius. After ascending and descending the spiral gallery of the Guggenheim’s On Kawara exhibition I saw more than the singular date of one canvas. I saw the entire body of his work was one piece, an installation work of art. I felt each piece was integral to the whole. I questioned whether an individual work could be realized as what the artist intended. What value could it hold? Like critic Peter Schjeldahl, I thought it would be arbitrary and pointless if ‘the object’ reflected the collector’s birthday or anniversary. I have come to see otherwise. I believe what On Kawara created in his disciplined, diaristic manner of recording his personal life experience touches upon our interconnectedness and interdependence universally. 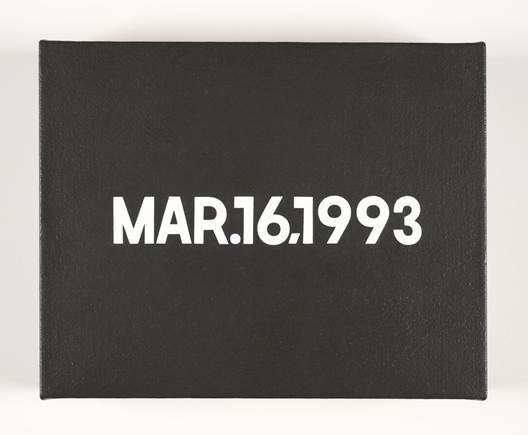 For whatever reason a collector paid more than four million dollars for May 1, 1987, it connects his or her life with On Kawara’s and with everyone else who was alive on that date, reminding each and everyone that his or her existence matters. For this, I find On Kawara’s art revolutionary.